Discover a rollator you can easily convert into a wheelchair when it suits you. Primarily a folding rollator this 2 in 1 rollator can be converted to a portable wheelchair quickly and easily. The user or carer can simply flip the backrest over and attach the foot rests to the front for the convenience of both products. 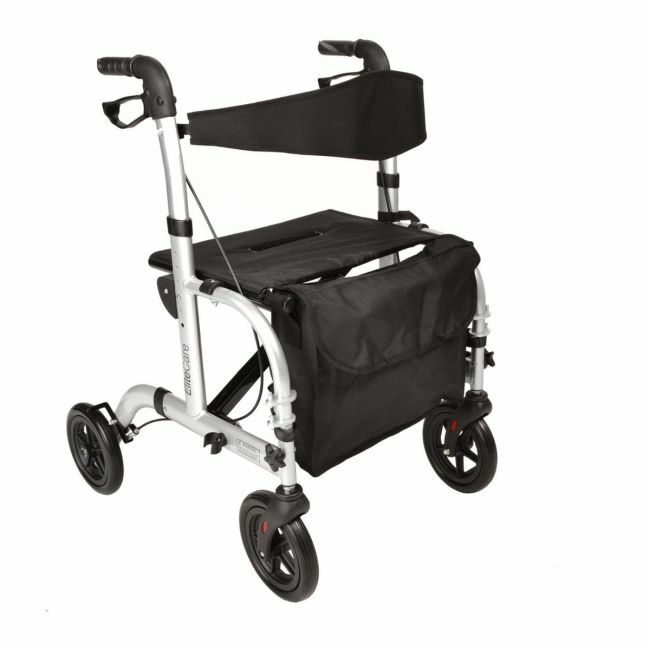 This rollator also features an upgraded zip bag with shoulder strap for storage and transportation.